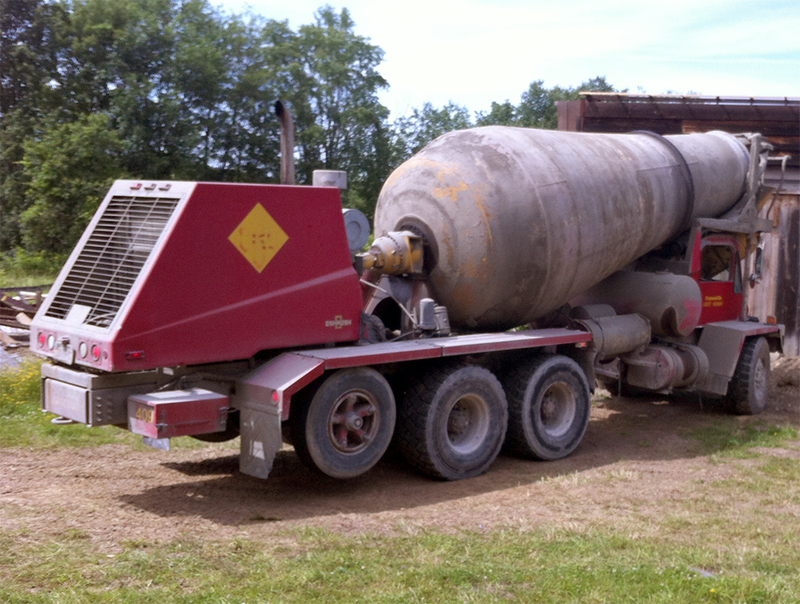 One bright and sunny morning an enormous truck rumbled down Black Creek Road which could only mean one thing: the concrete man had arrived! 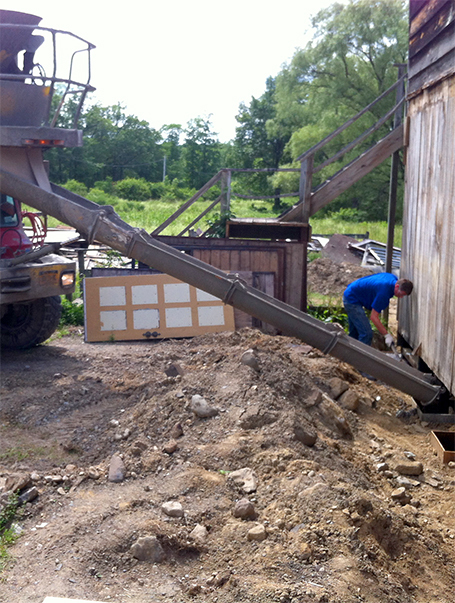 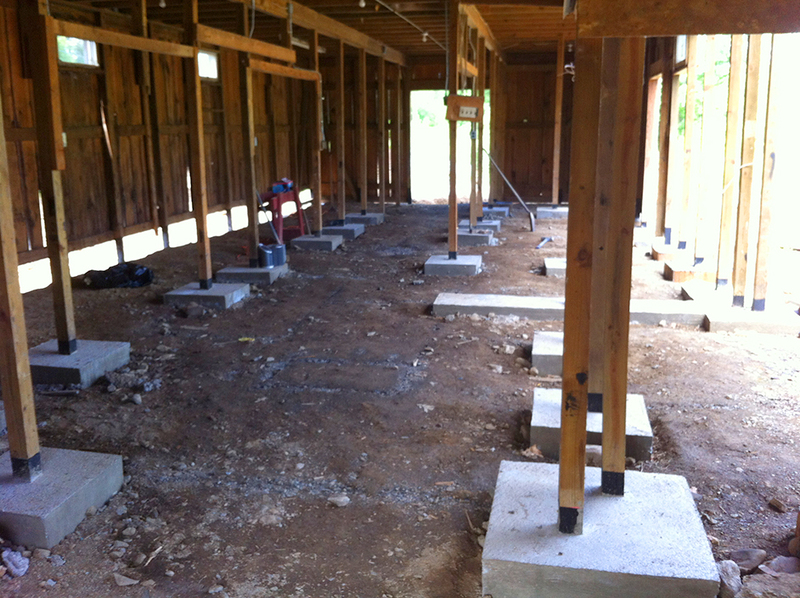 The interior concrete footings have already been poured and now it's time to tackle the exterior ones. 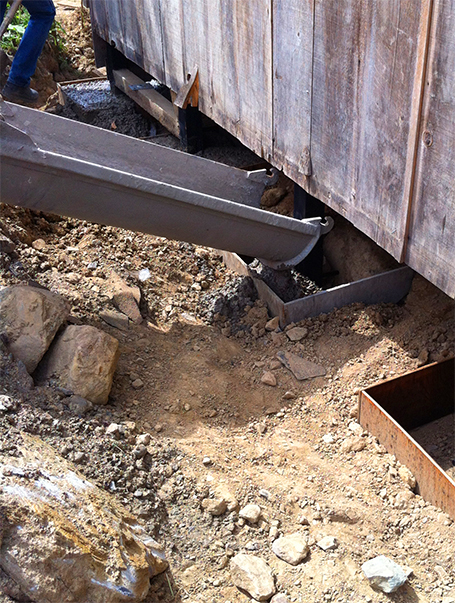 Since the concrete truck can only maneuver so much, Project Manager Justin carefully guides the truck's arm into position over the first footing form. 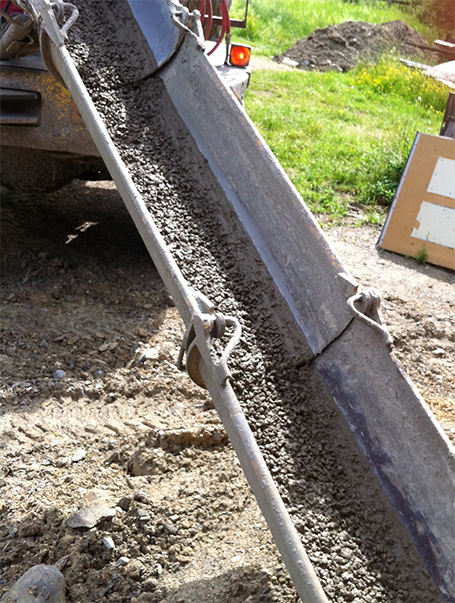 The concrete slides down the shoot and quickly fills each form. 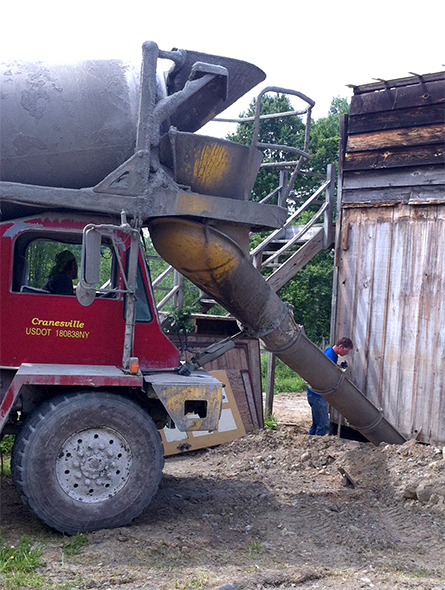 Obviously this is a lot quicker than mixing and pouring the concrete by hand! 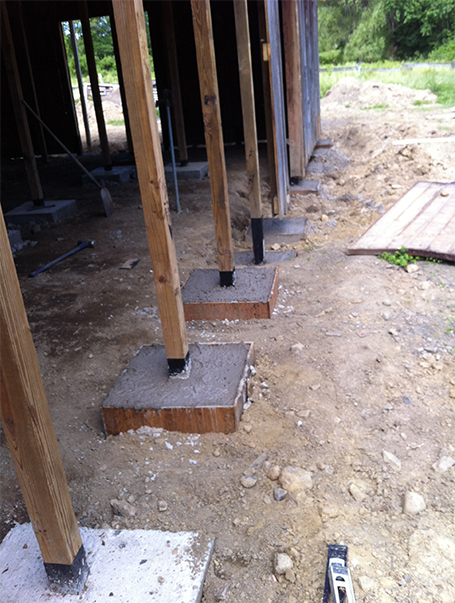 After each form is filled and topped off, the footings are left alone to set and harden. 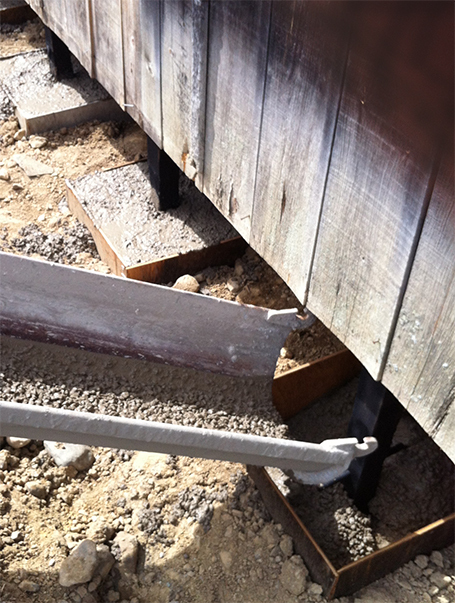 Finally, every single pole at 10 Horse Art Center has it's own personal concrete footing!